APRIL IS AUTISM AWARENESS MONTH. CLICK HERE TO SEE THE RANGE! We are more the same than different and here at Diversely Human, we love to celebrate the things that make us unique individuals. 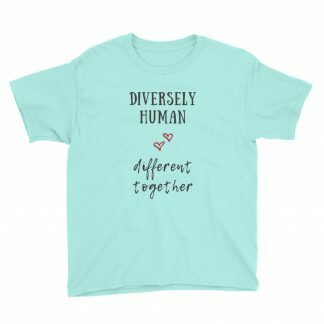 We promote acceptance, inclusion, diversity and awareness with a dash of humour. 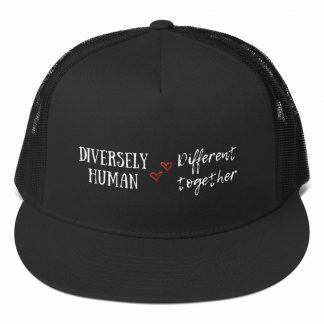 If you want to raise awareness and promote acceptance for people with disability and mental illness while you’re looking fabulous, then this hat’s for you! Classic trucker cap style with a cool fabric blend. Please Note: All our products are made to order so refunds and exchanges cannot be processed. If you have received a defective or damaged item, please contact us and we will gladly replace it. Allow 3-6 business days for fulfillment after payment has cleared. Shipping times are in addition to fulfillment times. Shipping times may vary based on your location. You will be notified once your order has shipped with tracking information so you may track the progress of your shipment.